Our blog this week is from Katie Davenport-Mackey, Museum Visitor Services Assistant at UCL Culture. In 1888 pioneering Egyptologist Sir William Matthew Flinders Petrie started excavating sites in the Fayoum oasis west of the River Nile and south of the capital city of Cairo. He was particularly fascinated by the site of the pyramid of King Senwosret II of the 12th Dynasty. Petrie’s team discovered that the pyramid was completely surrounded by an enormous perimeter wall made of mud-brick that enclosed a wide variety of secondary buildings, including a mortuary temple at the foot of the pyramid, a smaller pyramid referred to as the Queen’s Pyramid, shaft tombs for the princesses of the 12th Dynasty, and mastaba tombs for the high ranking officials. There was also a valley temple further away from the pyramid. Petrie’s team were conducting excavations of the valley temple when they discovered what is believed to be the largest surviving town of the Middle Kingdom. In 1889 Petrie’s team began excavation at the town associated with the pyramid of King Senwosret II. The town is sometimes referred to as Lahun (also referred to as el-Lahun or Kahun) but papyri reveal that the town’s name was originally Hotep-Senwosret (“Senwosret is Satisfied”). The town itself was rectangular in shape, measuring approximately 350m north to south and 400m east to west. It was completely surrounded by a massive wall constructed entirely of mud-brick and was divided internally by another mud-brick wall into a “Western Quarter” and an “Eastern Quarter”. The Western Quarter of the town was characterised by small rectangular houses of three to six rooms with an area ranging between 50-100m2. 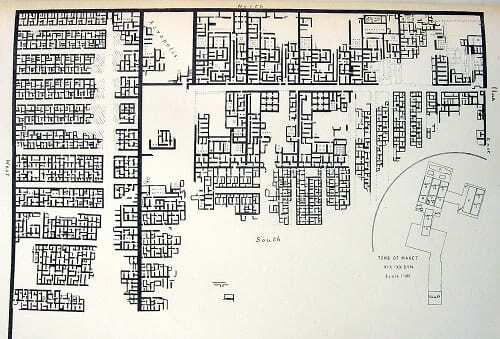 Whereas the Eastern Quarter of the town was dominated by a series of large residential houses which consisted of as many as 70 or 80 rooms with an area ranging from 1000-2700m2. The excavation was remarkable for the variety of “objects of daily use” that were found in the houses. Petrie’s team discovered many “objects of daily use” that are important for understanding the everyday life of ordinary Egyptians in the Middle Kingdom. These include a selection of zoomorphic (i.e. having animal characteristics) and anthropomorphic (i.e. having human characteristics) figurines. The zoomorphic figurines include domestic and wild species that would have been familiar to many ordinary Egyptians: pigs, apes, birds, crocodiles, hippopotami. All of the zoomorphic figurines are hand-modelled out of clay and were likely produced locally, with one notable exception. This led Petrie to propose that they may have been children’s toys: “Clay toys were made of many forms; men, pigs, crocodiles, and other monsters, as well as boats, little vases, &c., were modelled out of the universal Nile mud”. He also states: “One unique example of a flint toy was made, the hippopotamus being chipped in outlines from a thin flint flake”. The figurine of a hippopotamus is made of flint. Flint is a fine-grained sedimentary rock composed of crystals of quartz. As a result it breaks in a very predictable and controllable way known as a conchoidal fracture. This means that when a piece of flint (i.e. core) is struck with sufficient force a fracture is initiated that results in the removal of pieces (i.e. flakes and blades). One side of the hippopotamus (i.e. ventral side) shows a series of concentric ripples that formed as a result of a conchoidal fracture. These show the direction of force as it travelled through the piece from the rear end of the hippopotamus. This means that it was made on a blade (i.e. a flake whose length is more than twice its width) 5cm long, 2cm wide, and 1cm deep. The other side of the hippopotamus (i.e. dorsal side) shows evidence of four scars that also exhibit a series of concentric ripples. These show that four blades were removed from the core (including one struck from a 90 degree angle to the others) prior to the removal of the blade that was shaped into the hippopotamus. This side of the hippopotamus has scars along its edges from chips of flint that were removed in order to achieve the desired shape (i.e. retouch). The function of the hippopotamus figurine is unclear but there are two alternative hypotheses: one is that the hippopotamus was actually a child’s toy, the other is that it was a votive offering dedicated to a particular god or goddess. Petrie interpreted the hippopotamus figurine as a child’s toy but this is not the only explanation. While most of the zoomorphic figurines may be modelled easily, the hippopotamus figurine requires specialised ability. For this reason the hippopotamus figurine may have had a religious significance. The hippopotamus in particular was associated with the fearsome hippopotamus goddess, Taweret (known as “The Great One”). She was typically depicted as a composite monster, one-third hippopotamus, one-third crocodile, and one third lion. This ferocious appearance was intended to prevent malicious spirits from overcoming pregnant women and young children. 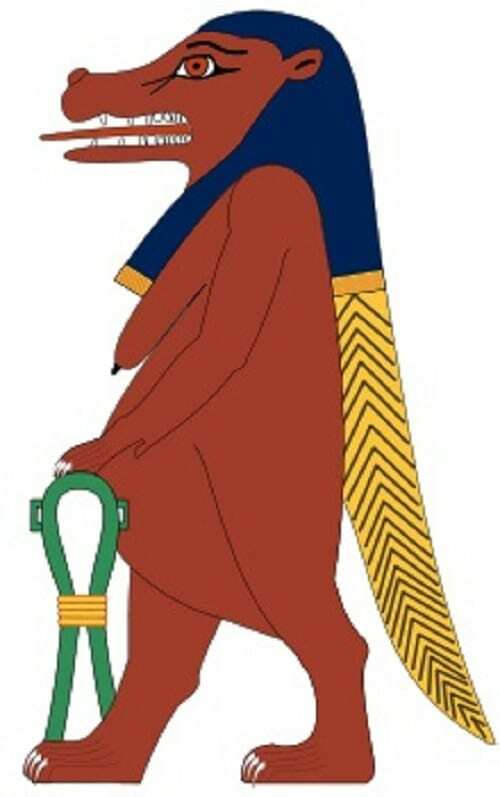 As a result Taweret was most popular among ordinary Egyptians and was worshipped primarily in household shrines rather than in the temples. Consequently the hippopotamus figurine might have served as a dedication to Taweret in return for her protection, or have been offered along with prayers in the hopes of receiving protection. Therefore, the figurine of a hippopotamus could be associated with children, although perhaps not in the way originally envisioned by Petrie himself. Andrefsky, W., 2005. 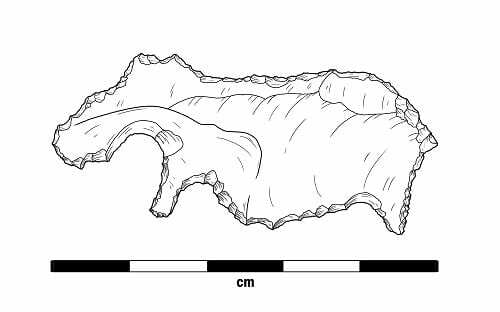 Lithics: Macroscopic Approaches to Analysis. Cambridge University Press, Cambridge. Bard, K.A., 2007. An Introduction to the Archaeology of Ancient Egypt. Blackwell Publishing, Oxford. Hart, G., 1999. A Dictionary of Egyptian Gods and Goddesses. Routledge, London. Inizan, M-L., Reduron-Ballinger, M., Roche, H., Tixier, J. 1999. Technology of Knapped Stone. Cercle de Recherches et d’Etudes Prehistoriques, Nanterre. Grajetzki, W., 2013. Tomb Treasures of the Late Middle Kingdom: The Archaeology of Female Burials. University of Pennsylvania Press, Philadelphia. Mota, S., 2012. The Household Religion in Ancient Egypt. Hathor – Studies of Egyptology 1: 31-61. Petrie, W. M. F., 1890. Kahun, Gurob, Hawara. Kegan Paul, Trench, Trübner & Company, London. Shaw, I., 2003. Exploring Ancient Egypt. Oxford University Press, Oxford. Szpakowska, K., 2008. Daily Life in Ancient Egypt: Recreating Lahun. Blackwell Publishing, London. Much older ones are shown here http:\\palaeoart.com and discussed in more detail in my paper “Eschewing Bear Tracks: Fallacies, figurestones and Fontmaure” in Rock Art Research, 2018, Volume 35(2) pp 145-179 with comments from Harrod, Hodgson, Watson, Vos and Bednarik.